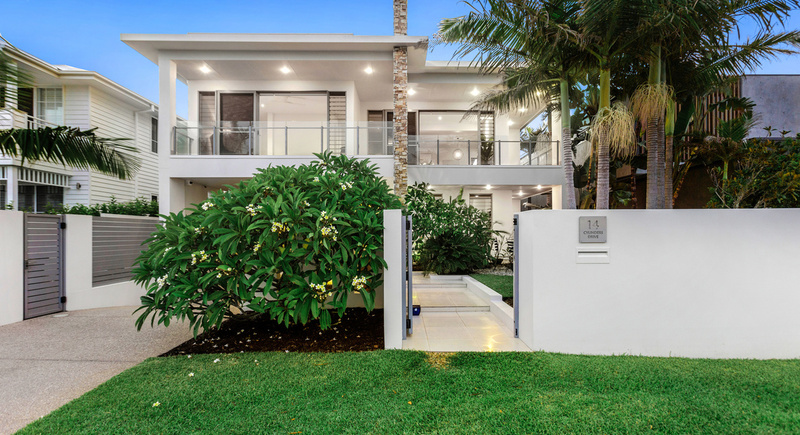 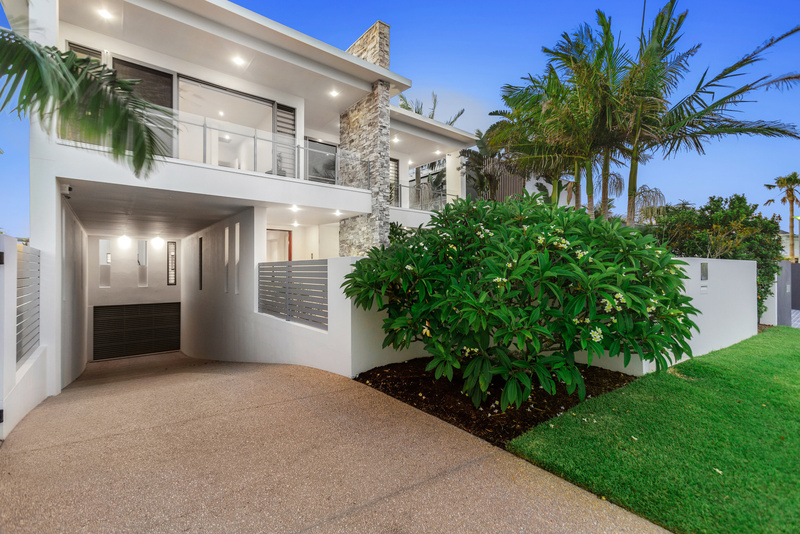 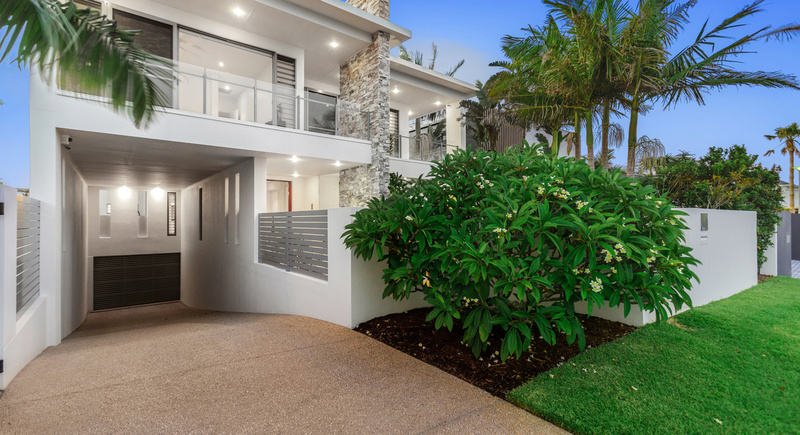 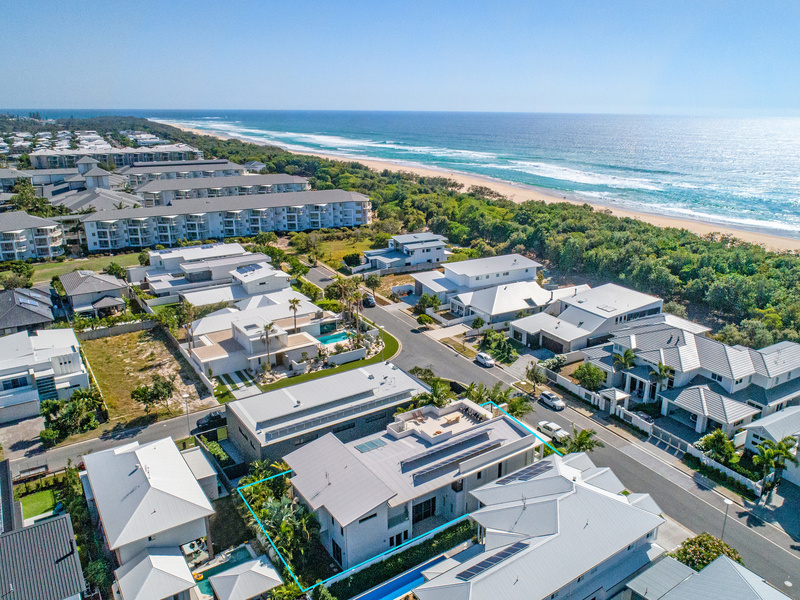 Arguably one of the very few homes on the Tweed Coast that spreads over four outstanding levels, boasting ocean views from the entertaining terrace! 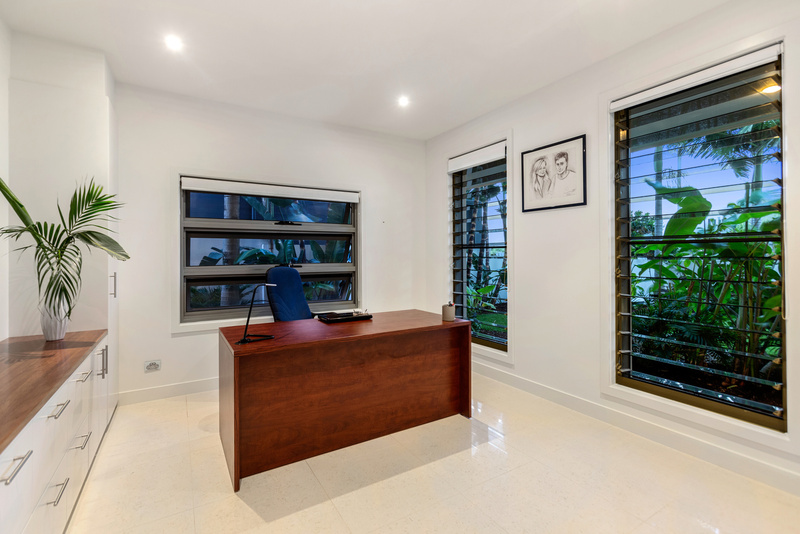 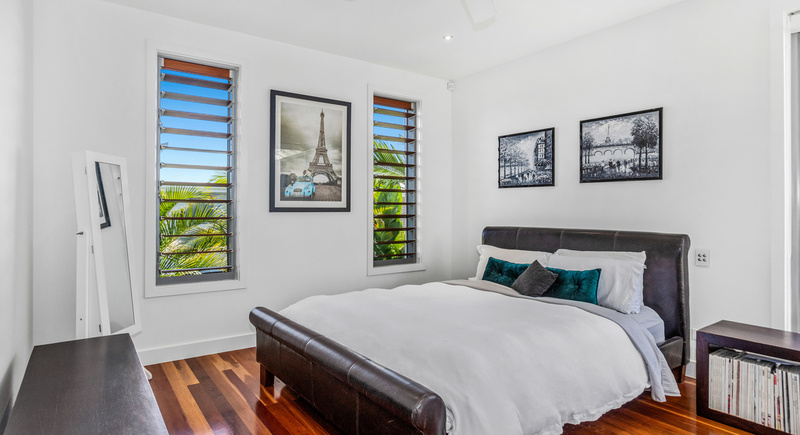 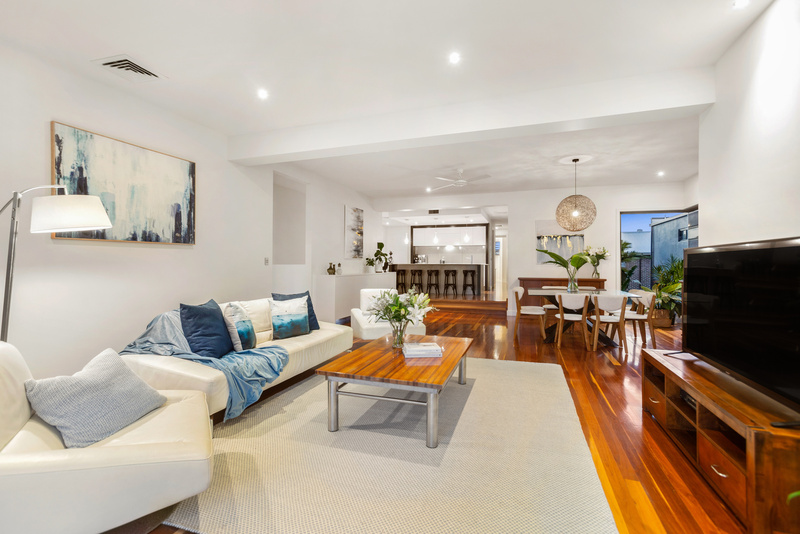 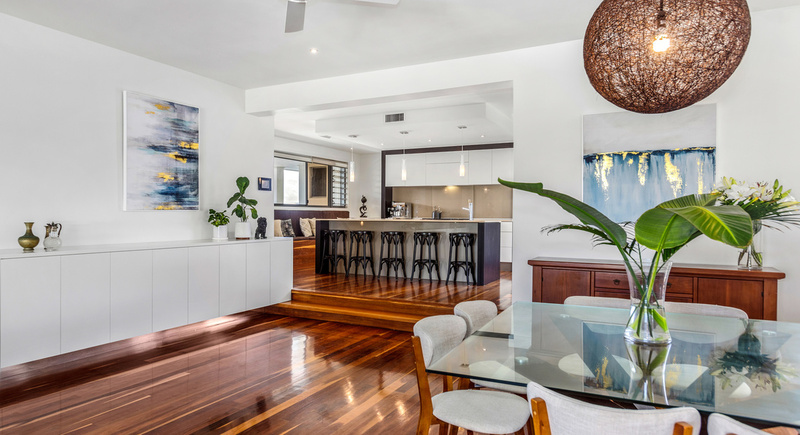 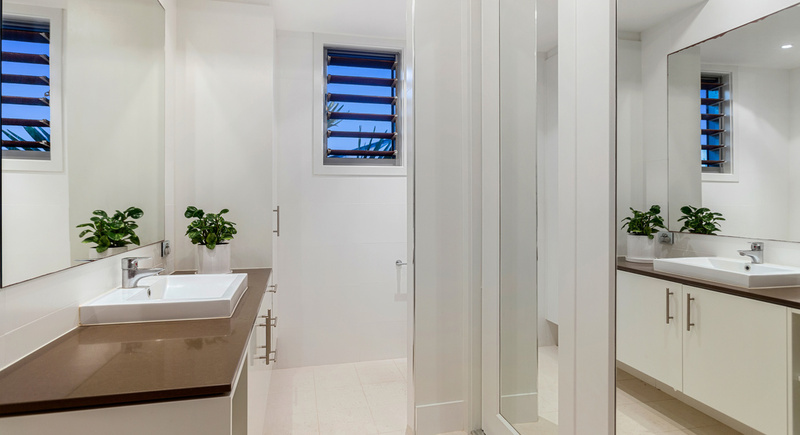 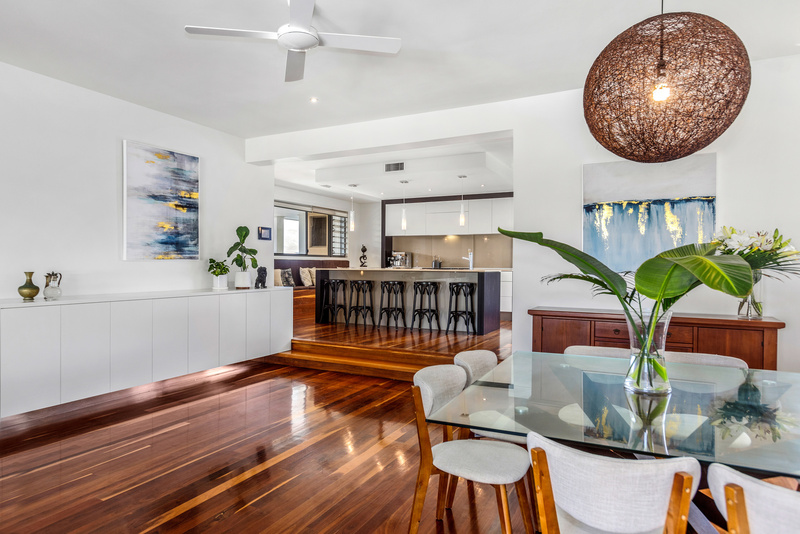 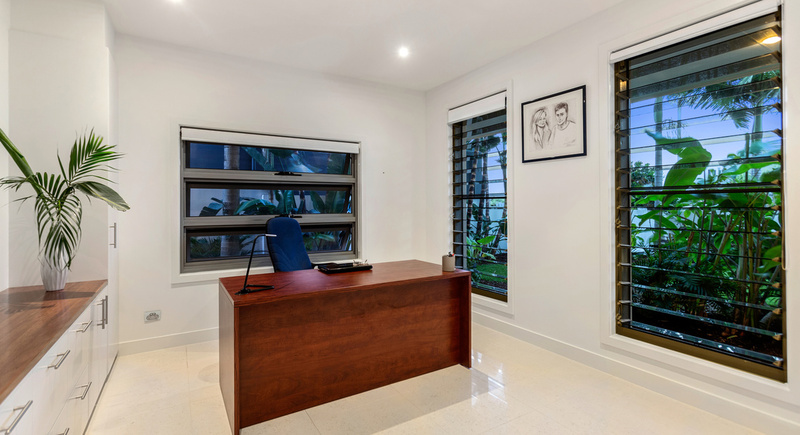 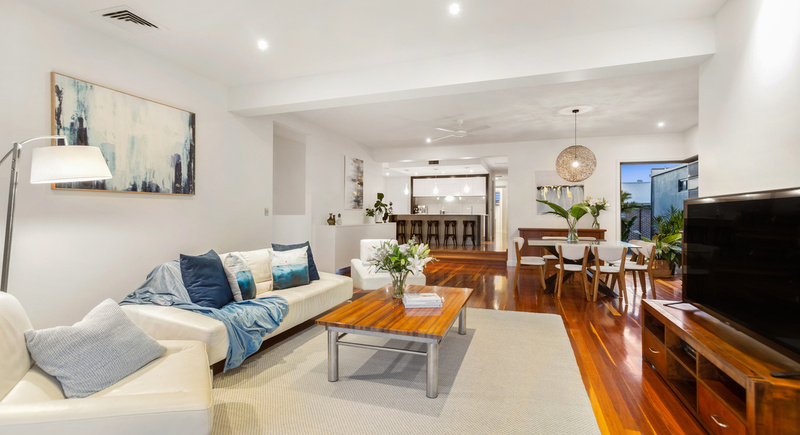 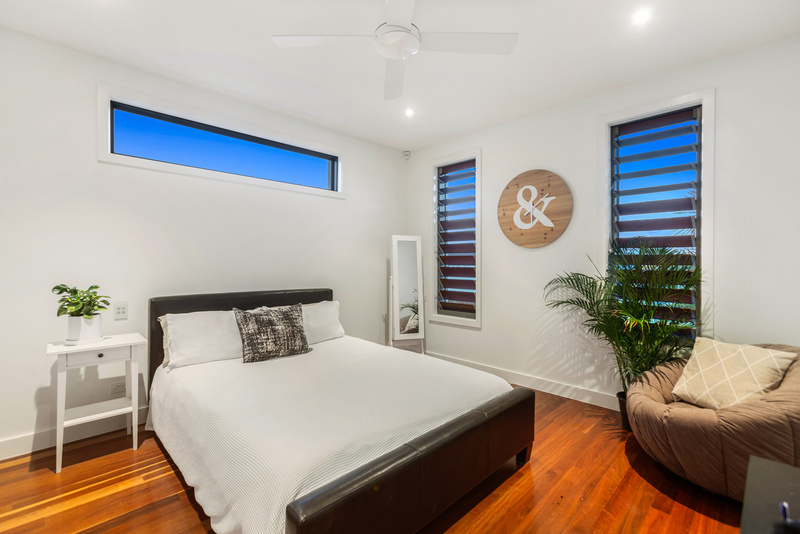 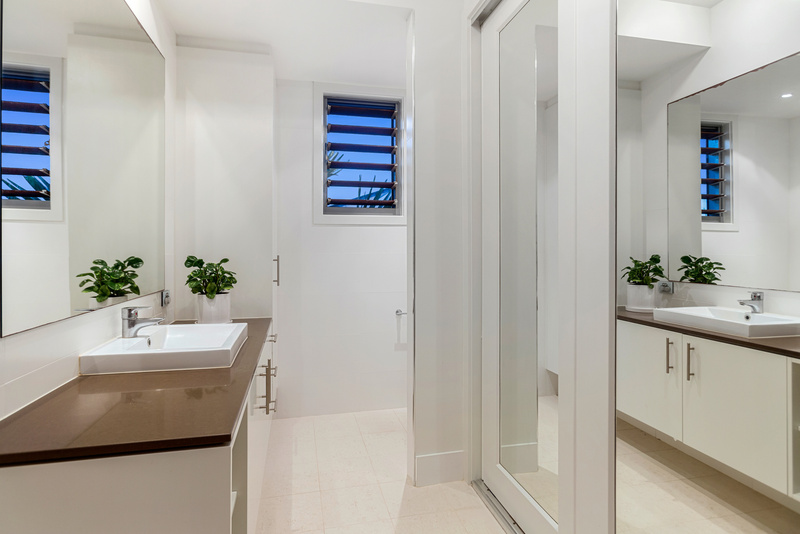 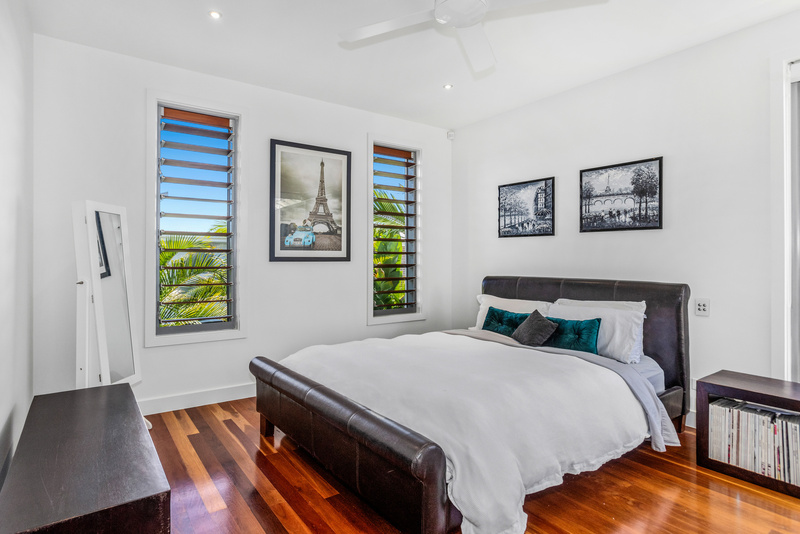 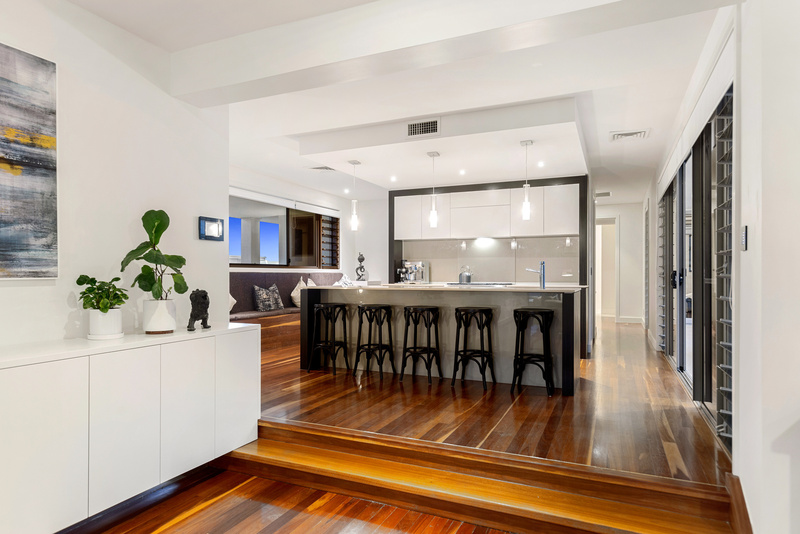 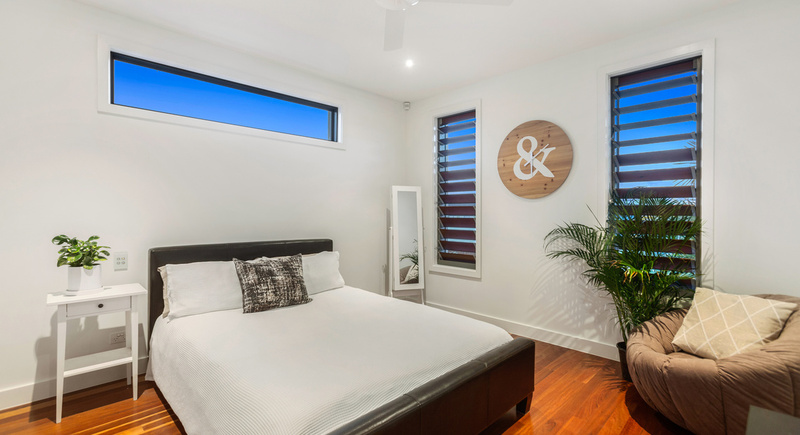 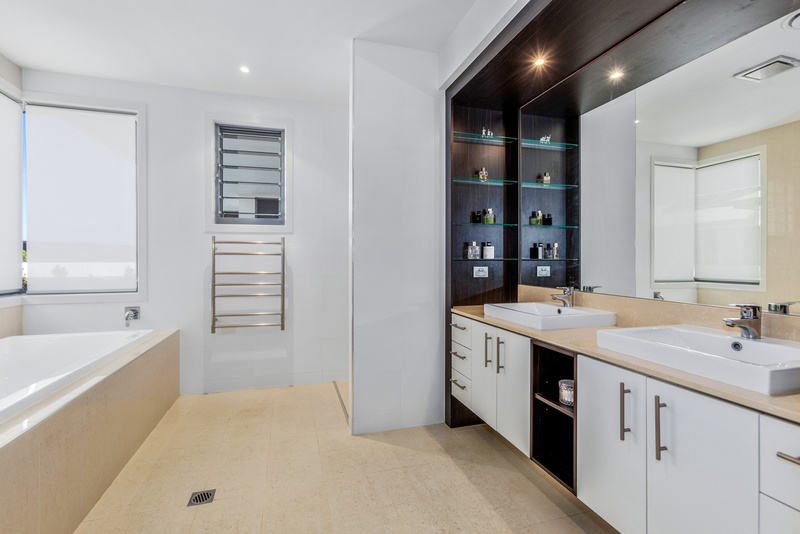 The owners spared little expense during the design and construction of this superb, family home with classic hardwood timber flooring and stone feature walls. 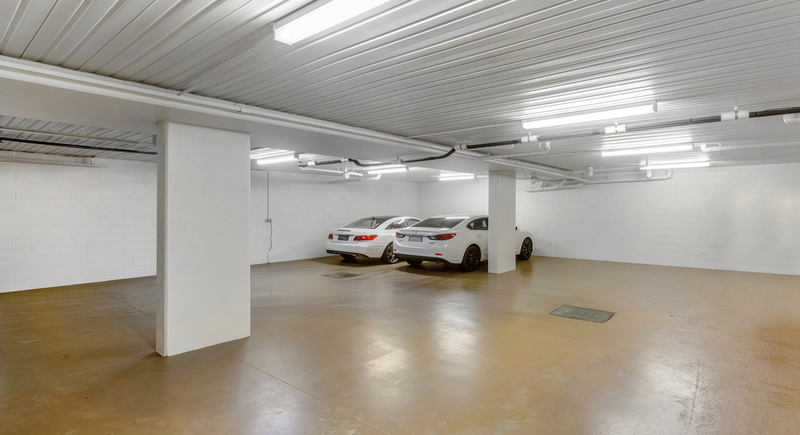 For buyers wanting a large home to accomodate a growing family, entertain friends with ease, and have lockable garage space for up up to eight vehicles, then 14 Cylinders fits the brief! 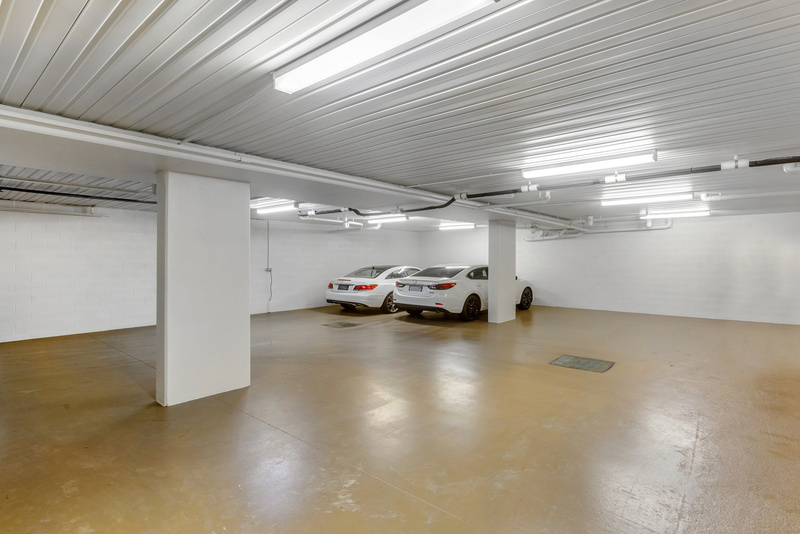 The underground garage also boasts a large room currently used as workshop; it could also be the perfect gym. 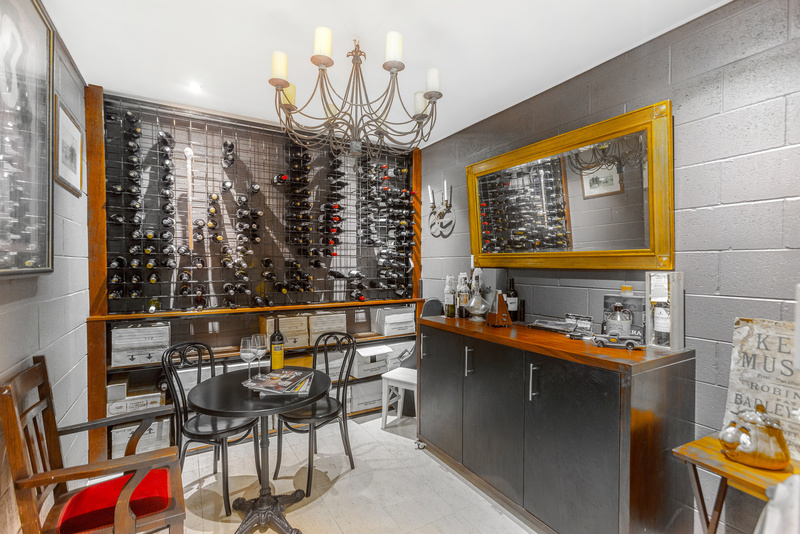 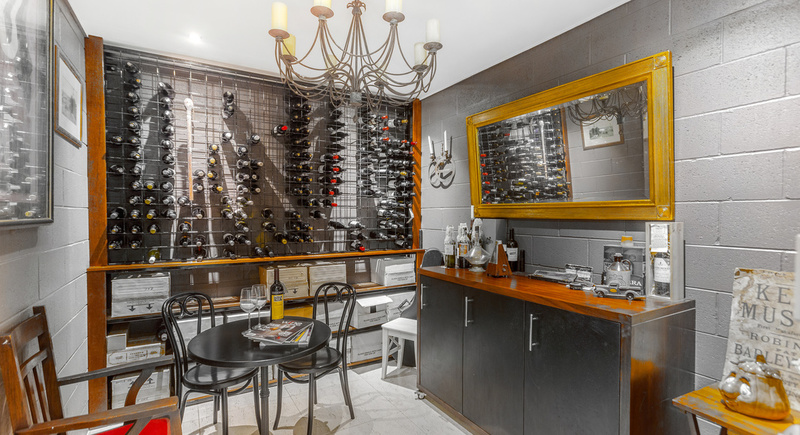 A smaller room is now used as a "wine and tasting nook". 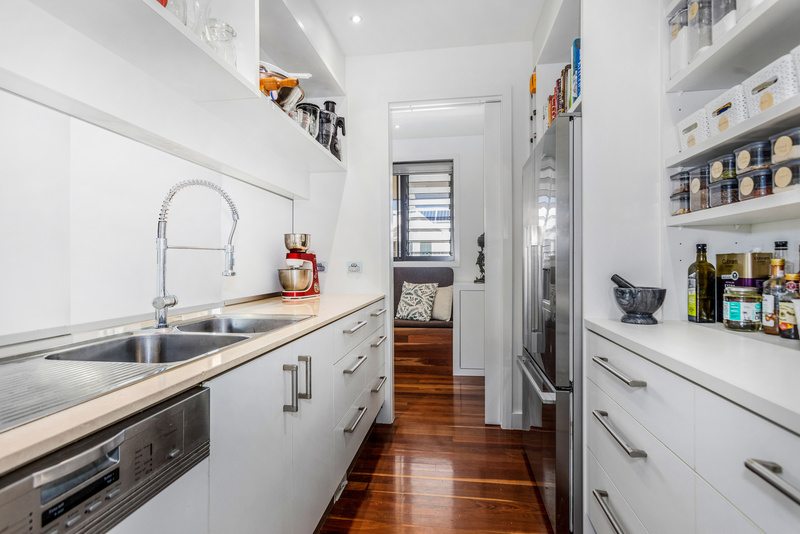 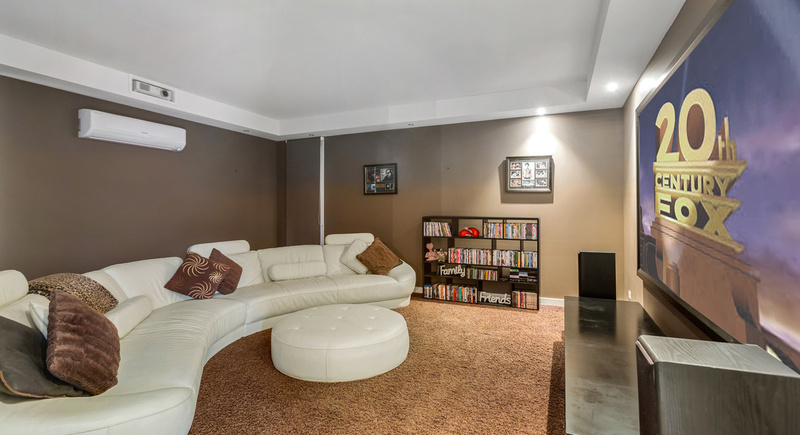 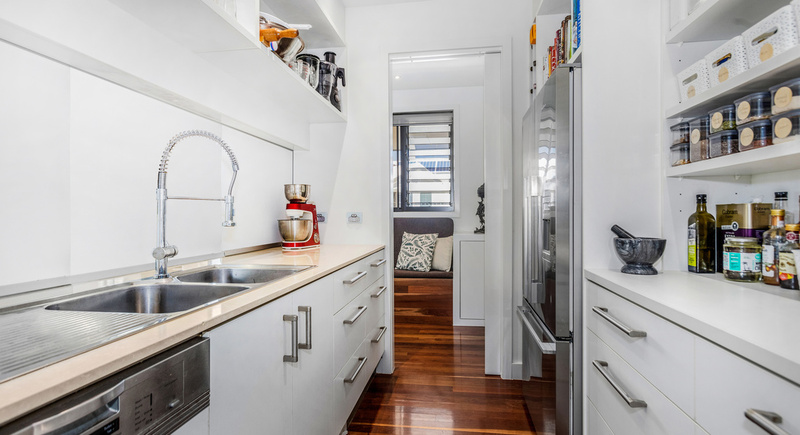 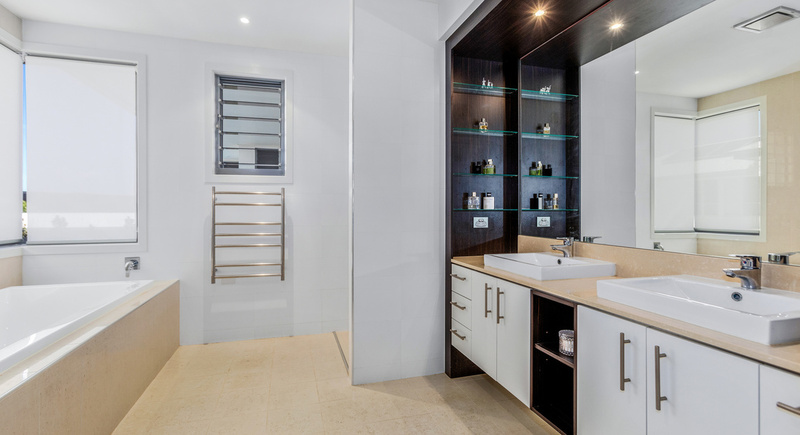 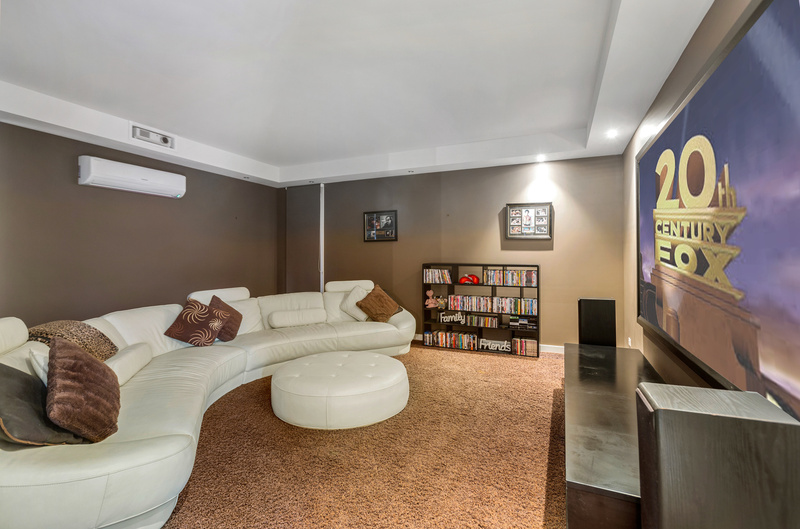 The storage throughout this home will not disappoint. 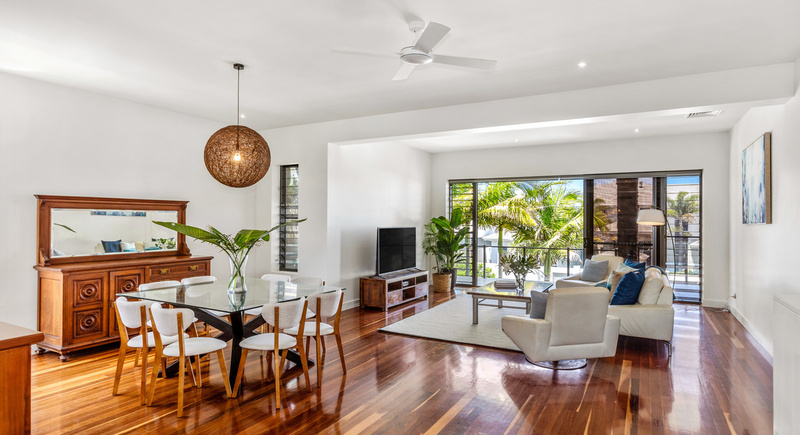 There are two mid levels where the family lives and sleeps in generously proportioned living areas and bedrooms that are mostly en-suited (see floor plan). 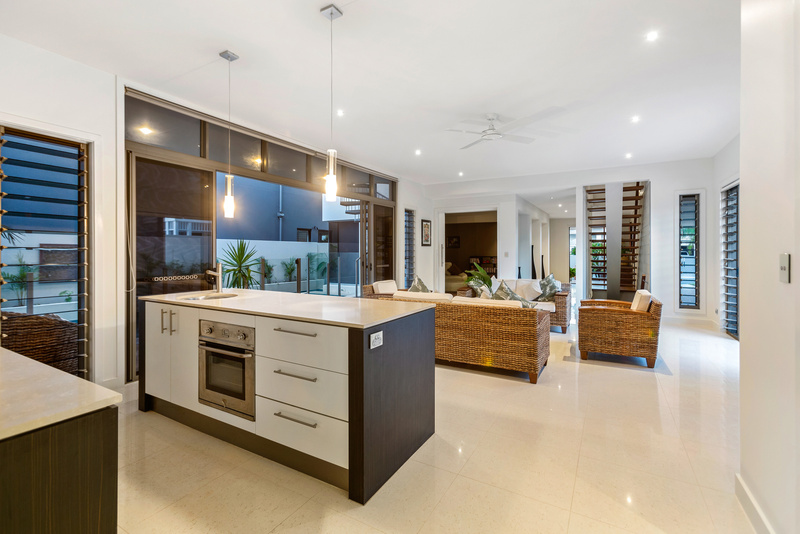 There is a well appointed main kitchen with true butlers pantry in addition to a secondary entertainer kitchen off the pool/spa, living and media room. 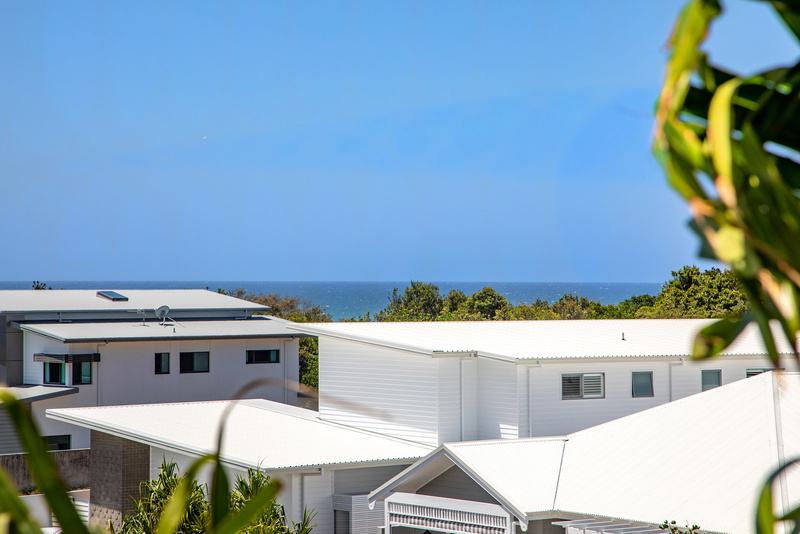 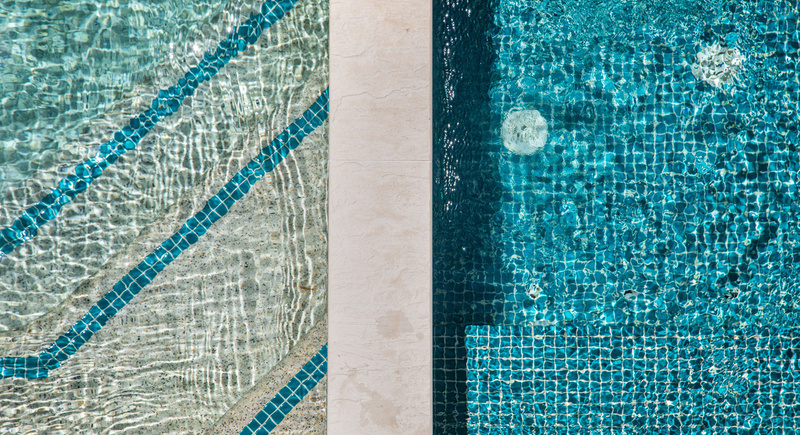 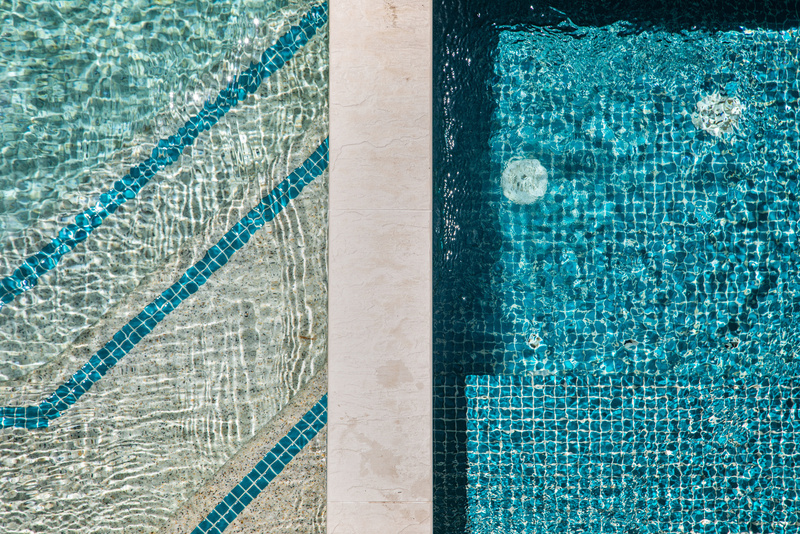 From the rooftop dining with ocean and hinterland views to the superb pool, entertaining is seamless on all levels. 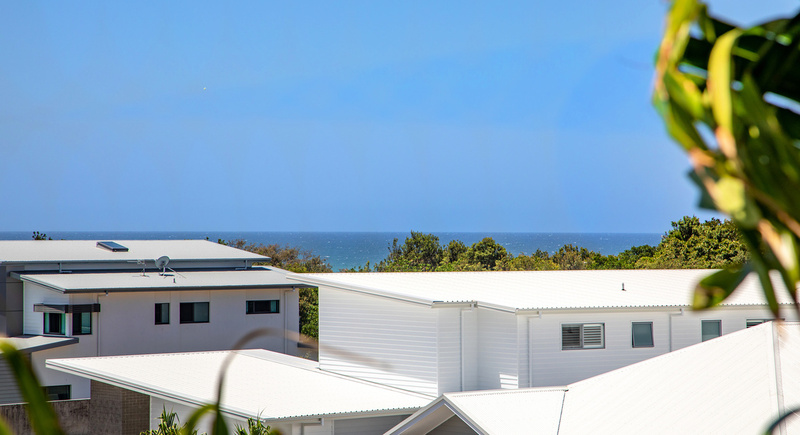 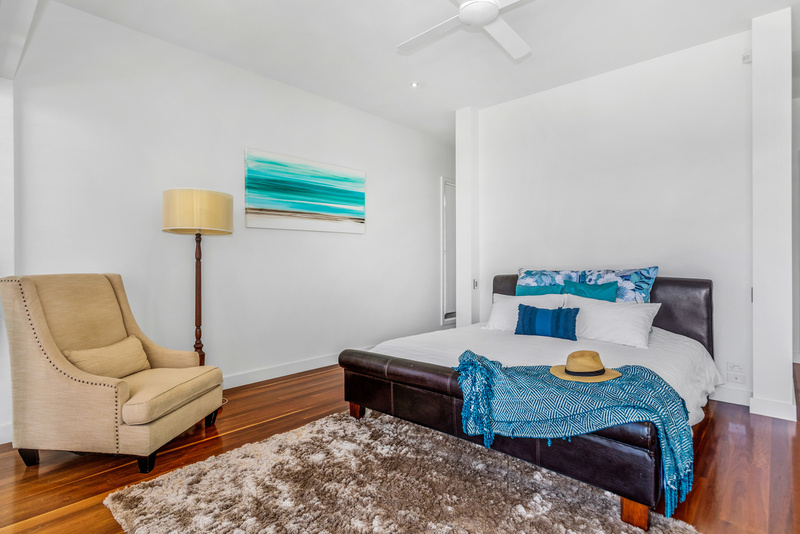 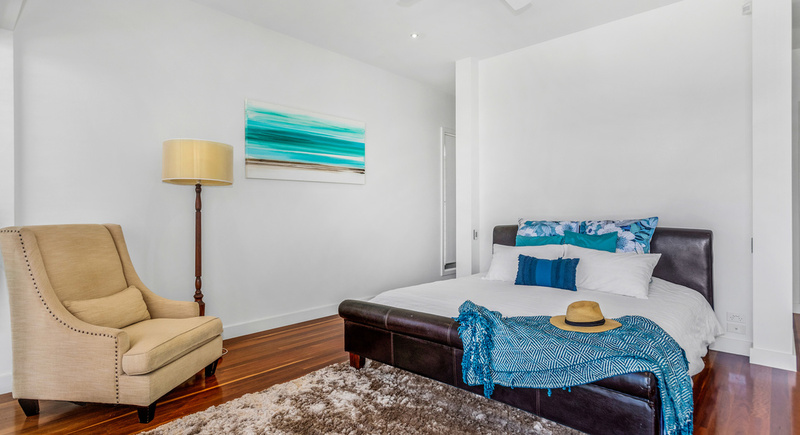 Located amongst executive beach homes with 15 minute access to Gold Coast airport, this is a standout lifestyle and investment property! 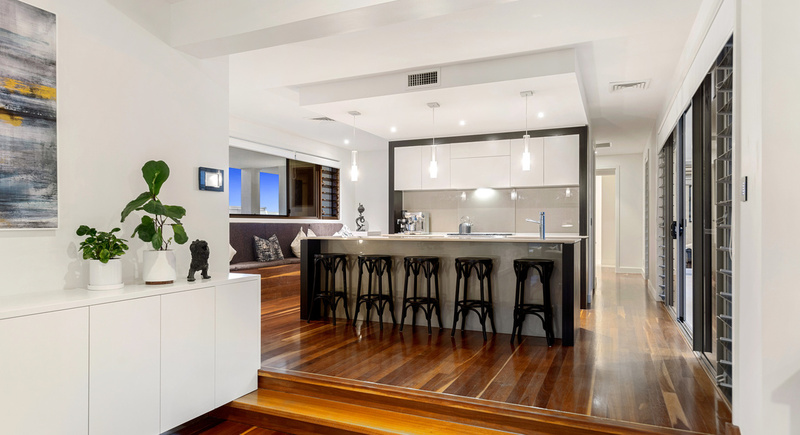 Excellent schools, cafe/restaurant culture and all modern amenities are now on your doorstep. 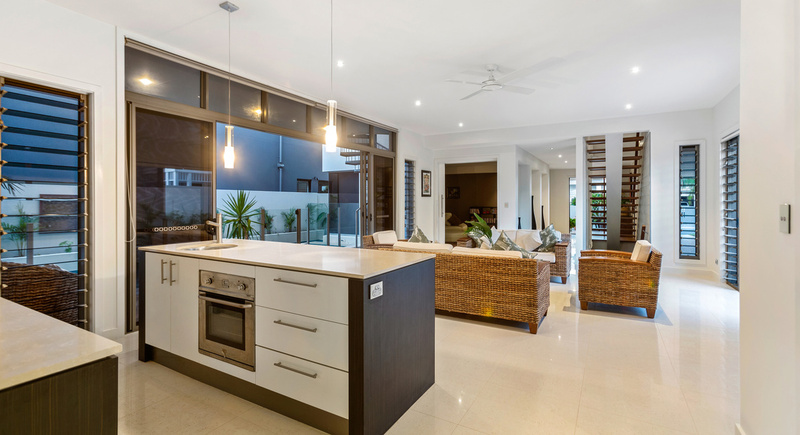 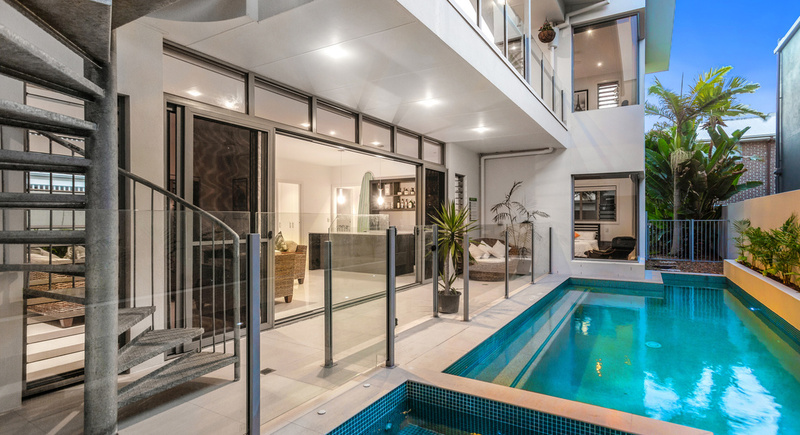 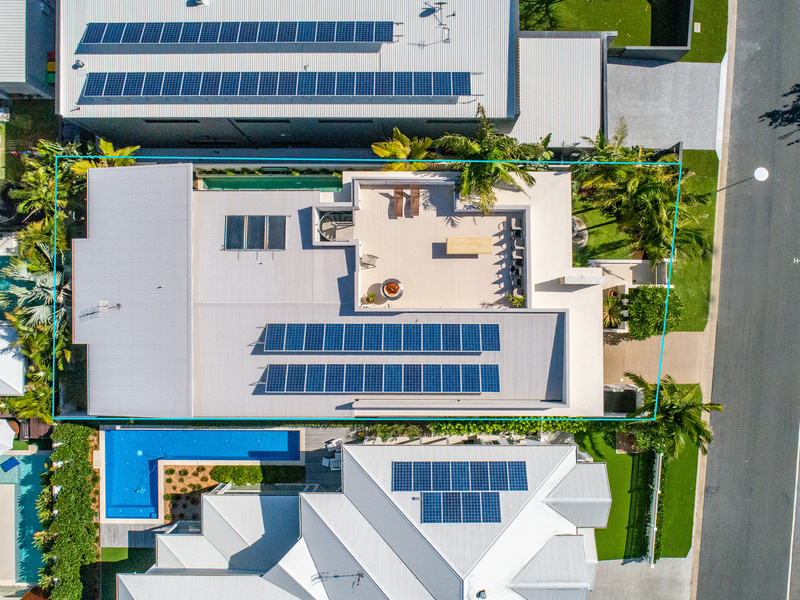 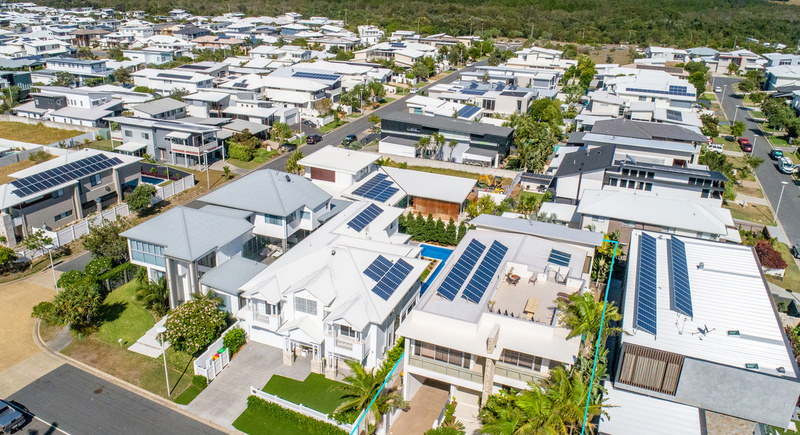 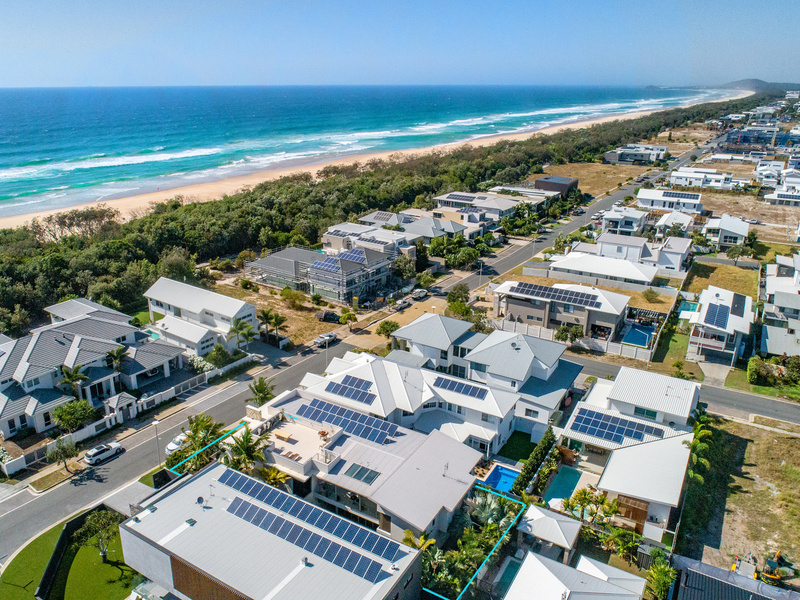 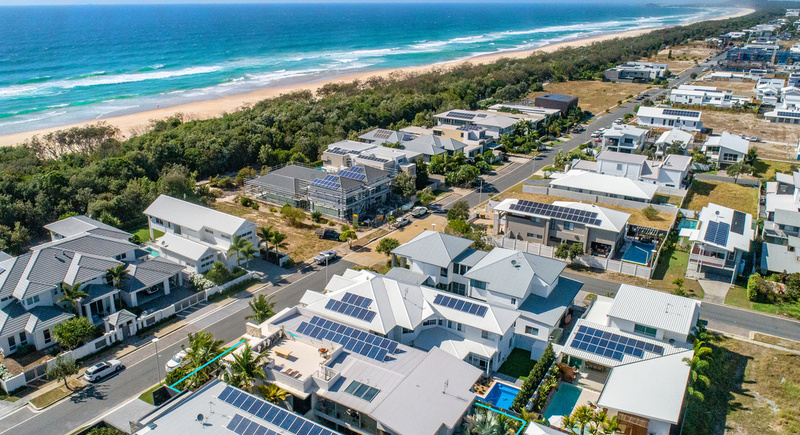 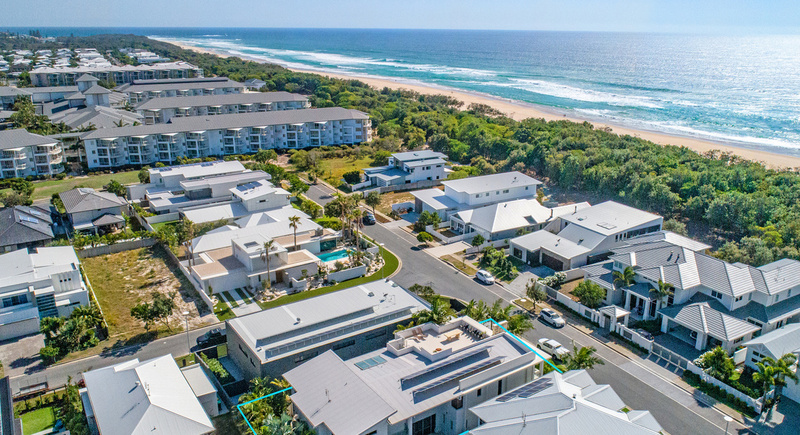 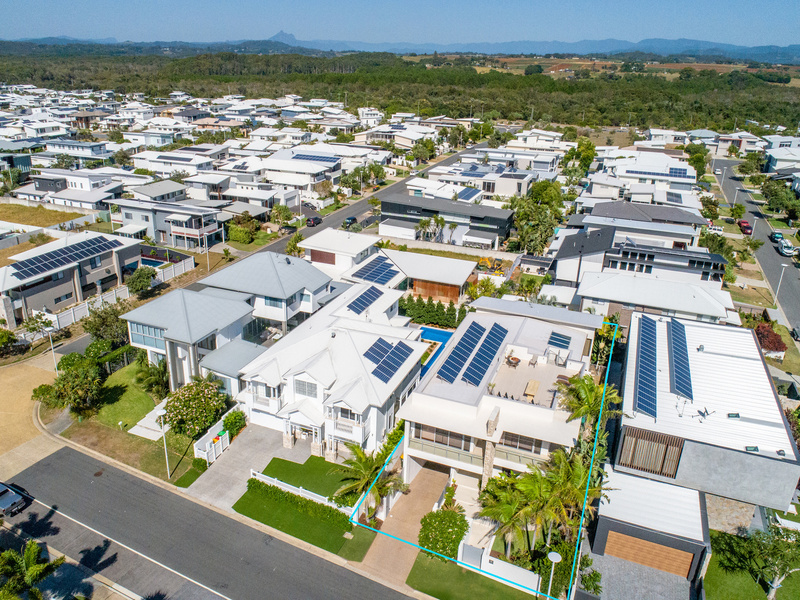 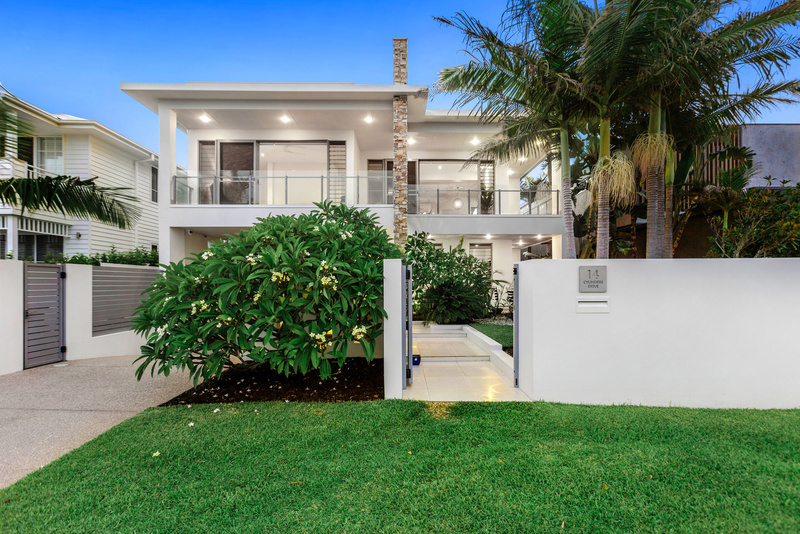 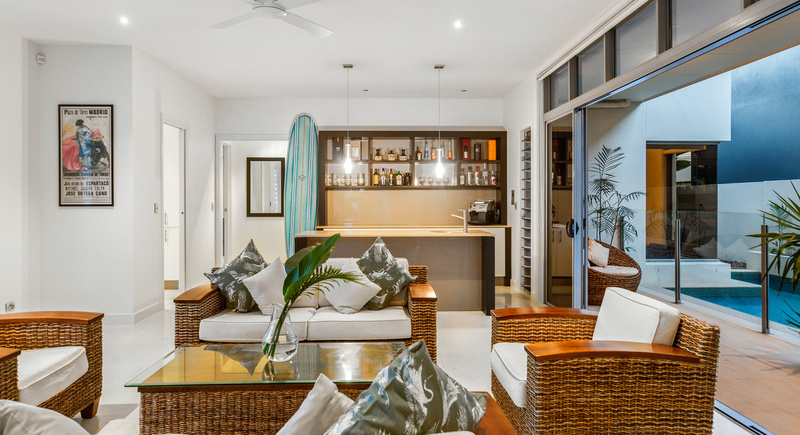 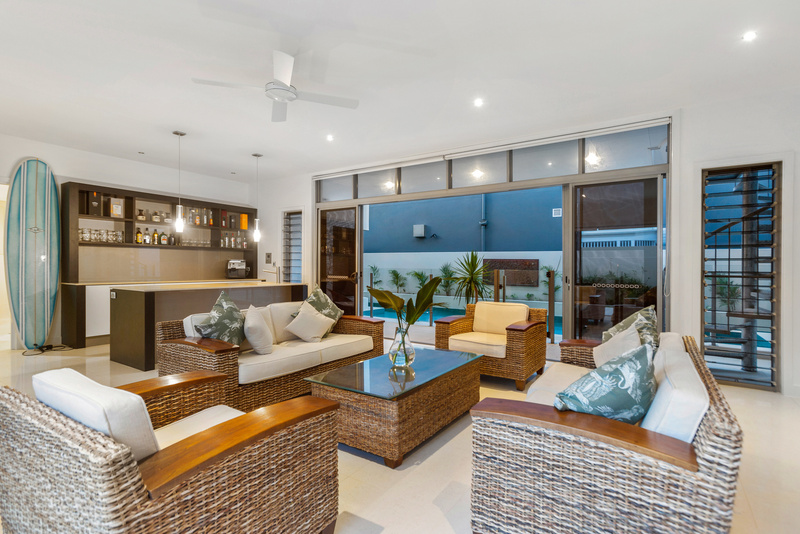 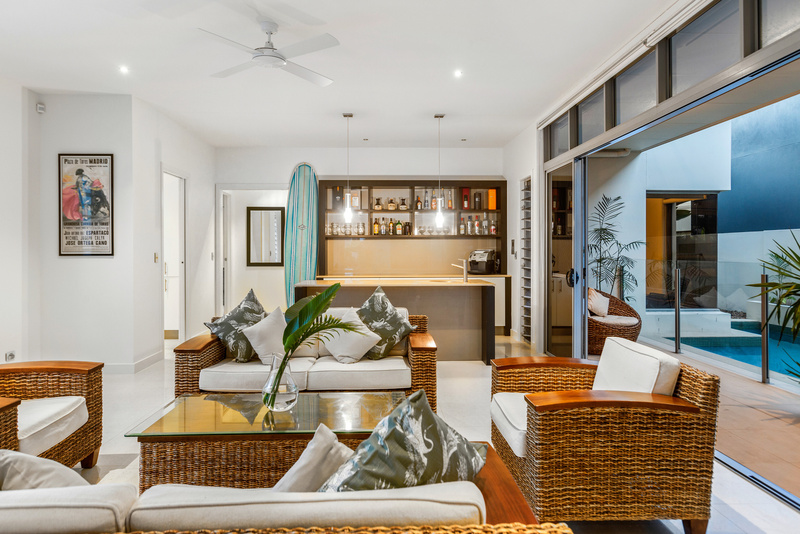 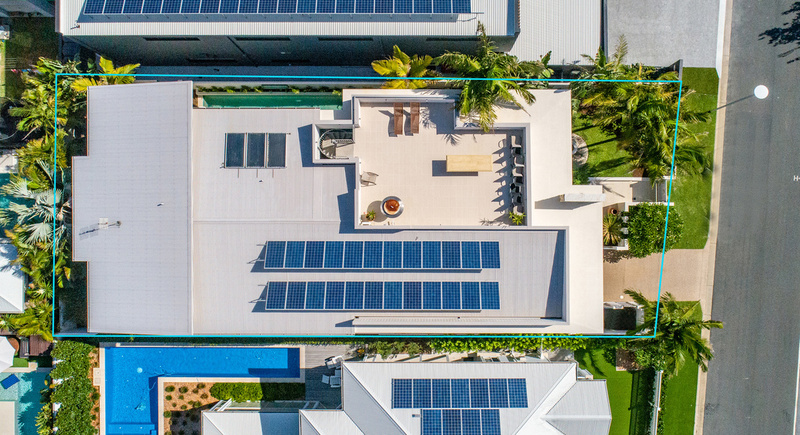 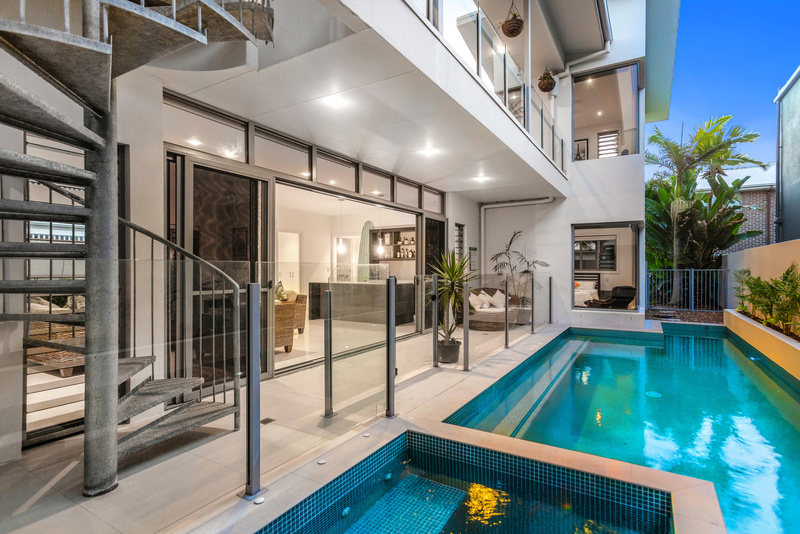 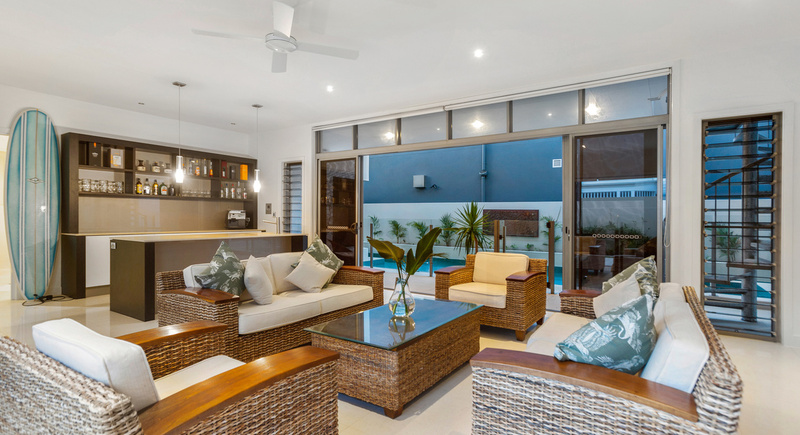 Demand for the Tweed Coast will continue with the attractive lifestyle on offer. 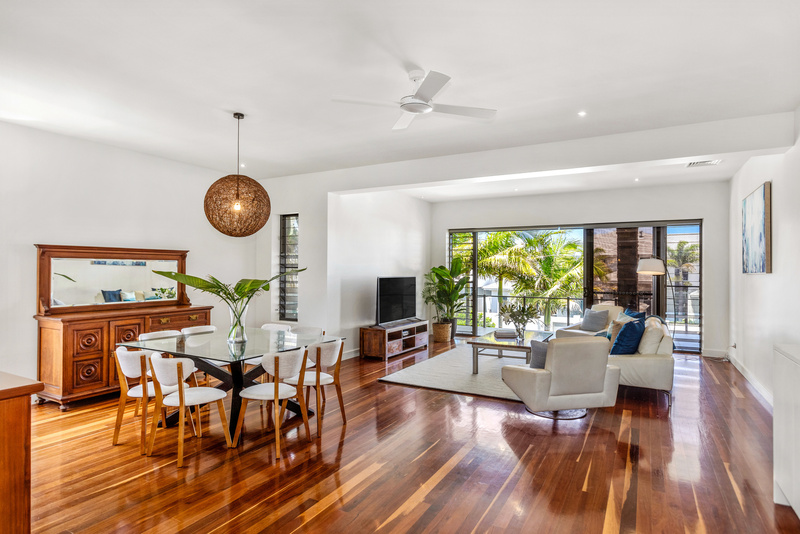 Please call for a private inspection of this timeless beach residence.